As the respective governments of Andhra Pradesh and Odisha prepare for the impending cyclone Phailin, which is expected to hit their shores on Saturday evening, search engine giant Google has voluntarily set up a Crisis Response team to assist the governments in rescue & rehabilitation of cyclone victims. "Google has come forward to offer their help. We are coordinating with them. It will help us collect information concerning the victims of the cyclone and track their status," said Andhra Pradesh minister for Information Technology and Communications Ponnala Lakshmaiah. Google has launched a 'Person Finder' to help those displaced by the storm to reconnect with their families. It is an open source software that allows individuals to post and search for the status of relatives or friends affected by a disaster. 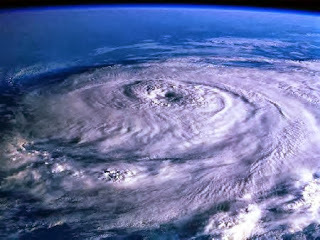 Google is also working with Airtel to see if they can send an SMS blast to all users alerting them of the cyclone. The firm is launching a crisis map, which would mark the shelters, power outages and other resources.The crowd-sourced map will display as to the points where the cyclone has hit. It also has a list of helpline numbers. As the search engine giant does not have enough sources concerning the location of the relief camps set up, they have appealed to the concerned governments seeking their help on the same. The maps have been set up by netizens who call themselves 'digital humanitarian volunteers' or so called CrisisMappers. The online volunteers along with on-the-ground relief mates from different places, including volunteers of StandBy Task Force, OpenCrisis, Info4Disasters, and several university students are working on the map. The 4-level category storm, cyclone Phailin, is supposed to be approaching the shores at 235 km an hour. The US navy forecasters have warned of even more menacing winds at 315 kph and wave height of 54 feet. The Global Disaster and Alert Coordination System (GDACS), has rated this event as a red alert, high humanitarian impact based on the maximum sustained wind speed. The cyclone, which will also raise sea level up to three metres, is expected to flood low-lying areas of Ganjam, Khurda, Puri and Jagatsinghpur districts of Odisha and Srikakulam district of Andhra Pradesh and extensively damage the agricultural crops. The AP government is also coordinating with the telecom service providers to ensure 24/7 connectivity. They have already alerted 527 fishermen villages and of all the 22,997 boats except two boats that were in the sea have returned to shore. The IT department is also ensuring that video-conferencing will be available 24/7 in all government departments to ensure a flow of communication.